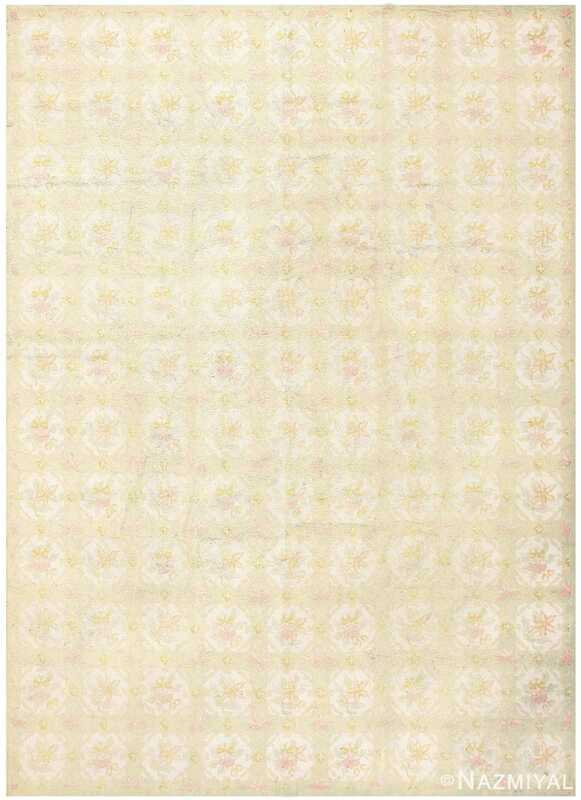 Beautiful Floral Pattern Antique American Hooked Rug, Country of Origin: United States, Circa 1920 — Soft, bright beauty gentle warmth characterize this antique American carpet. 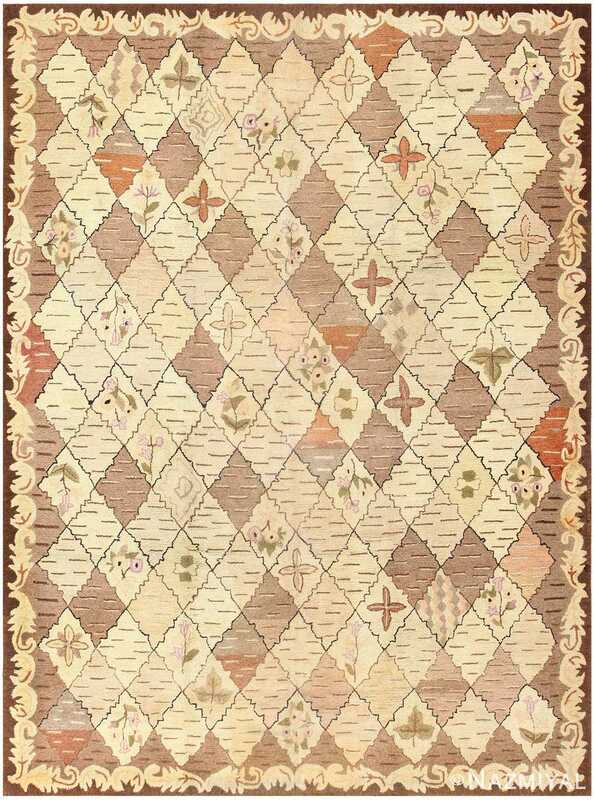 Created using the traditional hooked rug method, this beautiful antique rug begins with a soft, neutral border that surrounds the wonderfully sweet core of the piece. 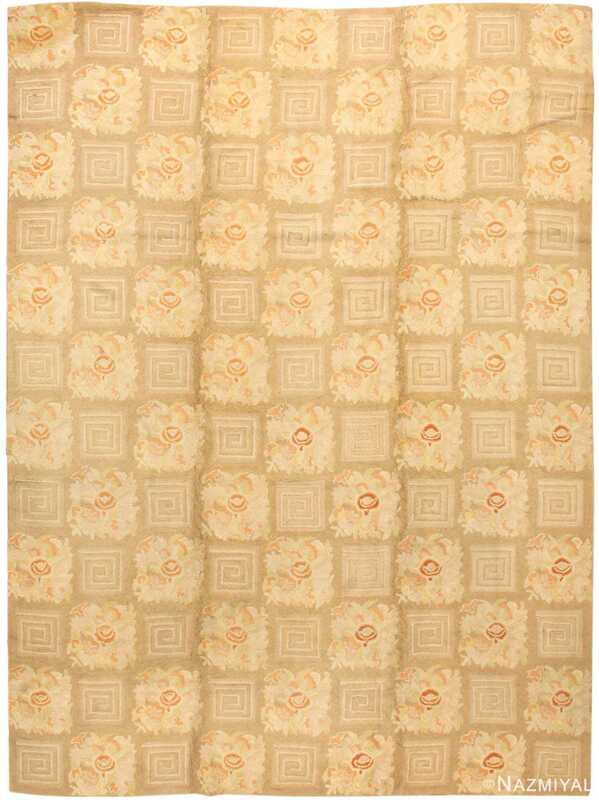 A pale patchwork pattern spills across the warm yellow field, each square embellished with soft blossoms rendered in gentle watercolor hues. 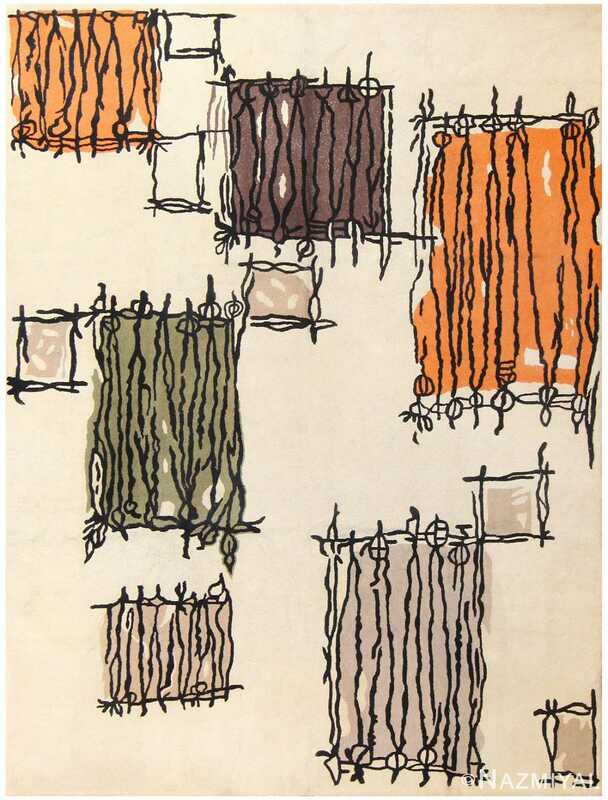 Artful, welcoming, and full of light, this beautiful work assures an uplifting statement piece.